At Kil-pah-las beach at the other end of Cowichan Bay Village past the hotel. 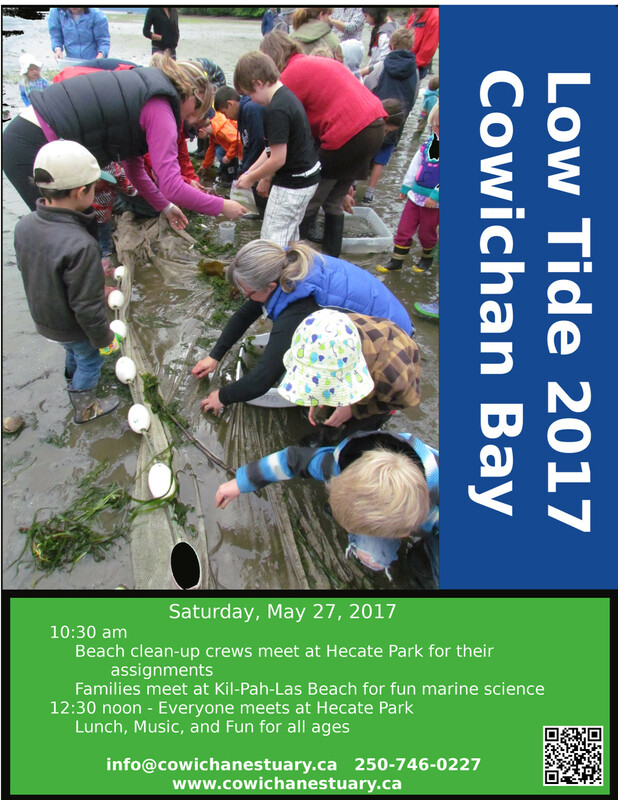 The shoreline cleanup and biological surveys begin at 10:30 with lunch and music at 12:30. Free, fun, useful, educational, and open to everyone. Click here for information about earlier Low Tide Days and a short CBC documentary.